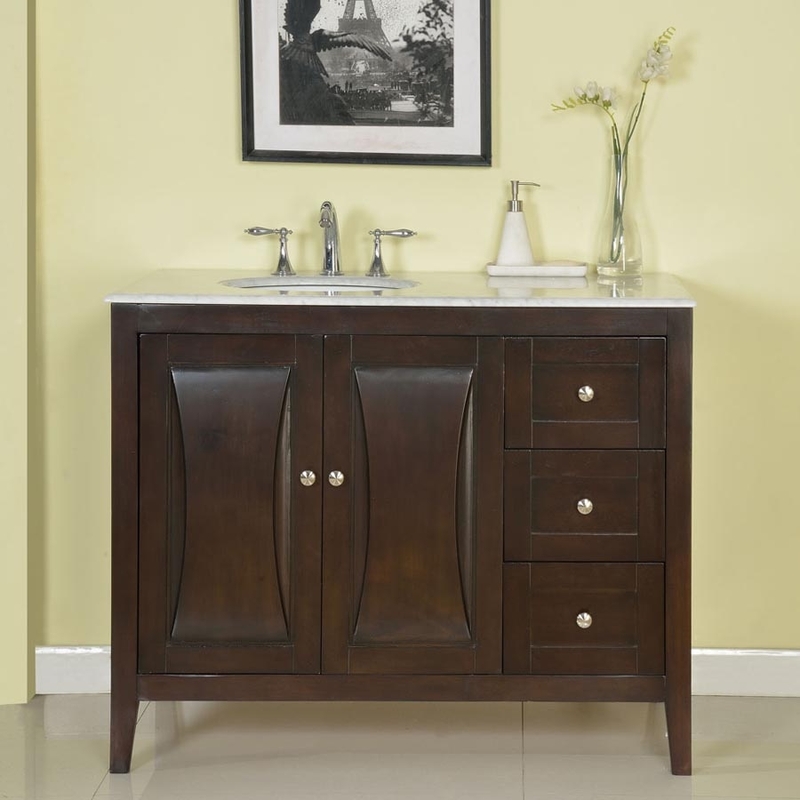 The modern styling of this single sink vanity is enriched by the subtle curves within the fronts of the double cabinet doors. 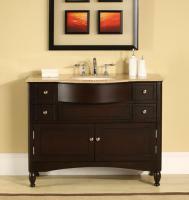 The clean lines of the design are made bold by the dark espresso finish of the wood material and smartly accented by the bright tone of the brushed nickel hardware pulls. 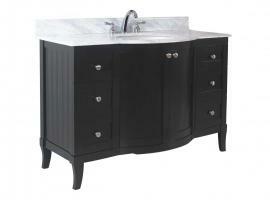 The nice sized counter top is created with a white Carrara marble and surrounds an under mount sink. 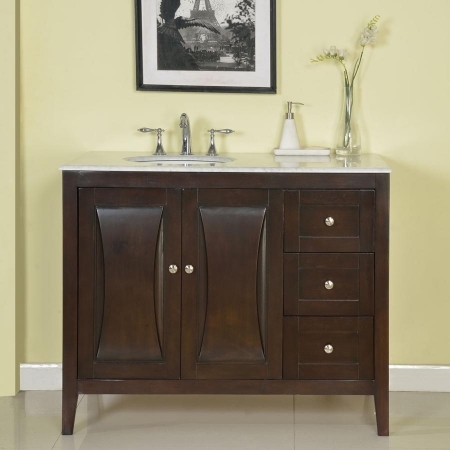 This piece not only adds a nice decorative touch to the space, it also has great functionality with the double cabinet and the three drawer, providing room to store small items which is always nice in the bathroom.